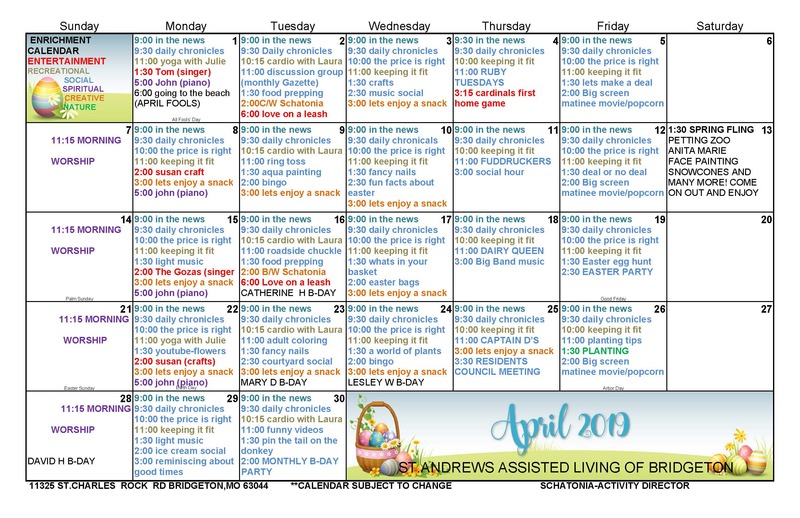 St. Andrew's Assisted Living of Bridgeton is designed to offer independence, privacy, and freedom of choice, making each day as eventful or as relaxing as the resident chooses. Our highly skilled staff is dedicated to promoting each resident's independence while assisting them with the help they need. Our flexible approach to assisted living is customized to each resident to provide the assisted living services best suited for your particular needs. 24-hour nursing support. Bathing and dressing assistance. All utilities included. Cable Television. Laundry services. Three delicious meals daily. Scheduled transporation. Wide array of social and recreational activities.